How can you have a fashion geek blog list and not feature Jordandene? I mean she is all over Facebook and all up in my Insta feed. Not that I’m complaining because just look at all of these shirts. 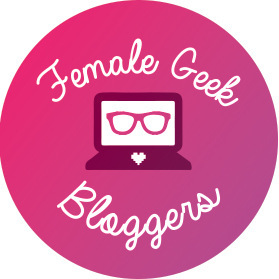 And she even has a cool segment called Geek Fashion Fix on The Sartorial Geek! Doctor Who you say? I was already in love before I saw the wonderful fashion posts that this blog had to offer. All of our favorite companions and even up to date posts on fashion outside of the show, this blog has it all for the fashionista Whovian. I love it when fashion bloggers are size inclusive and body positive. Even if you’re not plus sized, Plus Size Nerd has some amazing posts like this one on socks and this one about confidence. For those ladies who are plus sized, there’s so many awesome fashion posts with links to everything! Nerdy Vegas Chic has a wonderfully curated insta full of geeky fashion finds and outfits. If you love pins and mugs, you’ll feel right at home in NVC’s feed. Along with geeky fashion finds, you’ll also get weekly doses of amazing food posts and inspiring geek quotes. One of the very first geek fashion bloggers I ever followed is Melificent! A geeky mom with a geeky lifestyle. Her Insta is swoon worthy, and I literally can’t get enough of little Luna’s fashion. I’d pay any of amount of money for Mel to give my closet a geeky overhaul, pretty please. If you love fashion and you LOVE Star Wars, Anakin and His Angel is the blog for you! Jen Marie is not only a huge Star Wars fan, but she’s got fashion sense to put it all together too. Her Insta is full of Star Wars swag and tons of fashion. She also gets mega points in my book for her blog theme (Padme is my Chihuahua’s name!). I’m fairly new to The Dorky Diva blog, but what I’ve seen has already made me a huge fan. Savanna has her hands in her Star Wars podcast, all things Star Wars, and, of course, fashion! What I love even more is the awesome fashion collab between Savanna and Jen Marie! Two Star Wars fans battling it out with Star Wars fashion! Britney at All Things Britney Lee satisfies my love for DisneyBounding as it’s something I would love to do one day! She has amazing outfits and even couples’ outfits! And she loves Harry Potter and Star Wars too! Britney is a must to add to your Insta feed for her fandom fashion, hair and make up! Anaria over at The Kessel Runway is about to be your best friend and your first stop for all Star Wars fashion for women! She’s got product news, product reviews, round ups, rare finds, and styling advice. This blog is a literally a one-stop-shop. You have found the droid you were looking for! If you were looking for sophisticated geek fashion and cosplay that is. Meet Emily at The Stylish Geek! Ooh and ah over her OOTD posts, jump aboard the fashion DIY train, and enjoy your stay with some cool cosplay posts. What are your favorite geeky fashion blogs? List them in the comments for everyone to check out! I love reading your blog so no probs! No rush hon.